Vsevolod Trukhachev was born in 2000 in Saratov, in a musical family. His father and mother are artists of Saratov Academic Opera and Ballet Theatre. At the age of 7, Vsevolod began to study the piano at Saratov Music school. From 2015 to 2017, he studied at the Music College under Sobinov Saratov State Conservatory in the class of Honoured Artist of Russia V.I. Statnik. Thanks to this support he was able to win the 3rd degree Laureate of Bolshiyanov All-Russian Competition for Young Musicians and of Nikitanov All-Russian Competition for Young Musicians. 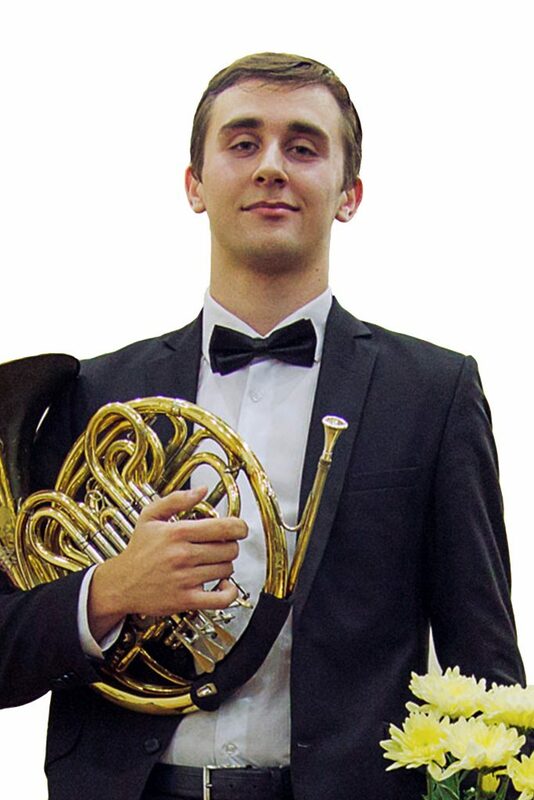 In 2016, Vsevolod took part in the audition organized by Bashmet All-Russian Youth Symphony Orchestra and was admitted.In 2017, he resumed his studies after admittance to Rimsky-Korsakov St. Petersburg Music College, the class of Honoured Artist of Russia Dmitry Vorontsov, where he is currently studying. In the same year, he participated at the Gnessin International Competition for Young Musicians playing wind and percussion instruments (Moscow) and was awarded as 2nd degree Laureate. Vsevolod performed at the concert hall of Mariinsky Theatre with Paulavičius Youth Symphony Orchestra and at the Philharmonic with St. Petersburg State Academic Symphony Orchestra. In addition, he is a new-starter at the orchestra of State Academic Mariinsky Theatre. Vsevolod participated in master classes of such prominent and outstanding musicians as Dmitry Vorontsov, Yuri Akimkin, Valery Zhavoronkov, Leonid Melnikov, Andrey Kuznetsov, Luca Benucci, Yuri Meile, Esa Tapani, Olivier Darbelle, Javier Bonet. Finally, in 2018, he won the 1st prize of II International Competition for Young Musicians playing wind and percussion instruments “Northern Rhapsody” (Cherepovets) and the 1st prize and EMCY prize at XI International Youth Competition Memory of E.A. Mravinsky (St. Petersburg). If you are interested in working with Vsevolod, please get in touch with the EMCY Office.